This is my fifth year of going to the Newport Jazz Festival. 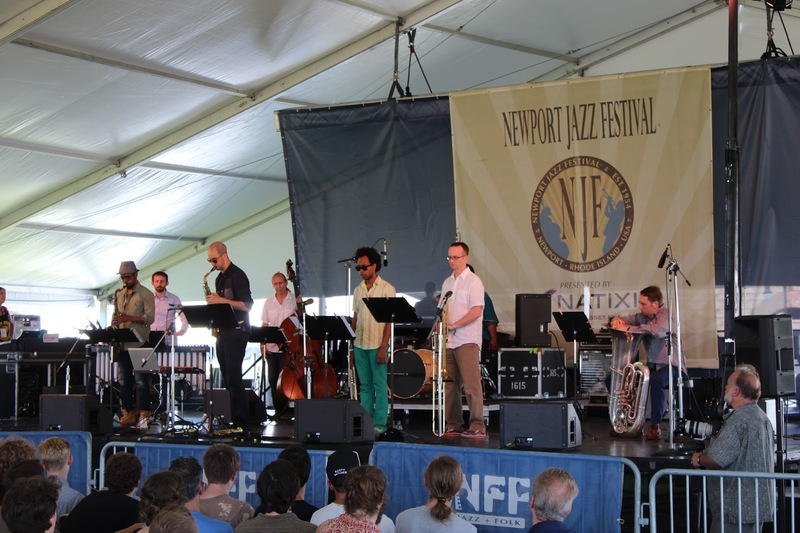 The first show I saw at the Newport Jazz Festival was the Wynton Marsalis Qunitet at the Newport International Tennis Hall of Fame. I don't think I had ever been so entranced by a concert up to that point. Being able to witness music at such a high level really influenced me then and continues to influence me. 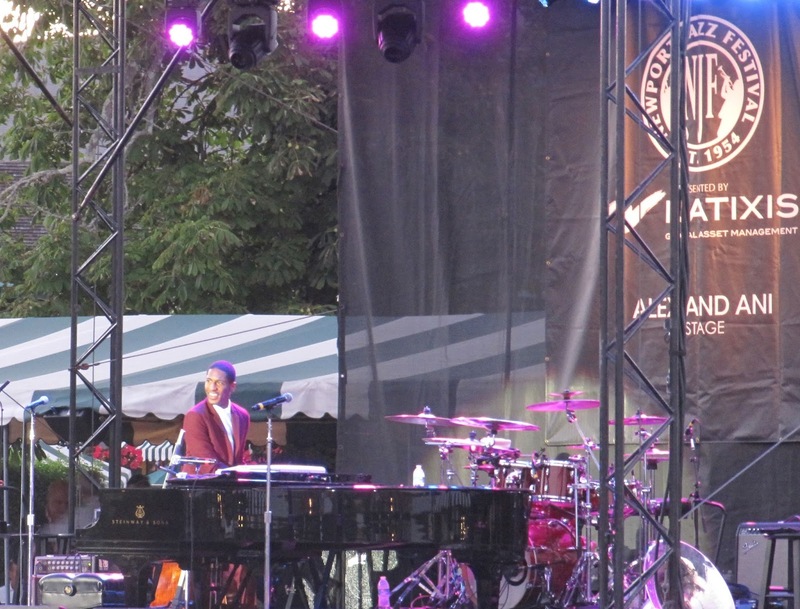 In fact I still remember most of Wynton's set list - "All of Me", "What A Little Moonlight Can Do," and I can still almost hear that set in my head, and how they played those standards. 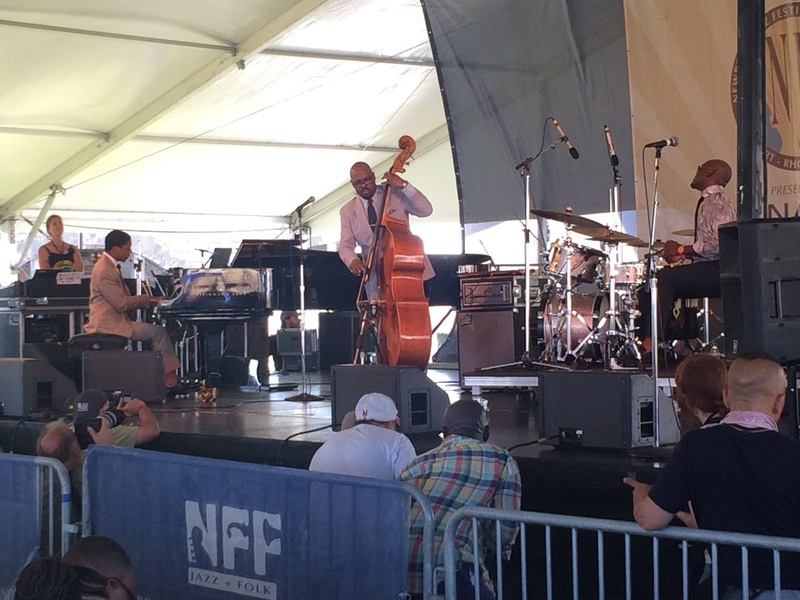 Today was an amazing first day at the 2015 Newport Jazz Festival. 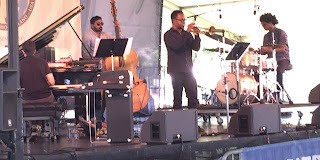 I had the good fortune to see the Ambrose Akinmusire Quartet, Matana Roberts' Coin Coin, Steve Lehman Octet, the Gerald Clayton Quintet with Ambrose Akinmusire, Ben Wendel, Joe Sanders & Justin Brown, Kneebody, the Christian McBride Trio with Christian Sands & Ulysses Owens Jr. at Fort Adams State Park as well as Jon Batiste & Stay Human and Chris Botti at the International Tennis Hall of Fame. 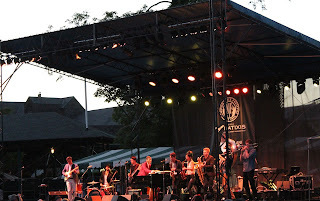 I have seen Ambrose on several occasions, including at the 2014 Beantown Jazz Festival. Ambrose is a completely original musician - his approach to improvisation, ensemble work and tone are quite different from trumpeters such as Dizzy Gillespie. However, while versed in tradition, Ambrose has created his own lush sound and an ensemble with thought provoking original compositions, such as "Roll Call For Those Absent." Matana Roberts' set mixed repetitive, catchy figures with bold spoken word. In fact, Roberts' set featured one continuous song, "Mississippi Moonchile". As a fan of poetry and a poet myself, I especially appreciated the use of spoken word, as it becomes its own instrument and really shapes the line of where the music is heading directionally. The Steve Lehman Octet had a modern, edgy sound and unusual instrumentation, including a tuba. Lehman utilized electronics, and drones on his laptop in real time. This added electronic element brought his music to the present day while still being experimental and raw. During his set, Lehman honored his friend, alto saxophonist Rudresh Mahanthappa, with "Rudresh-m", while highlighting his personal sound. 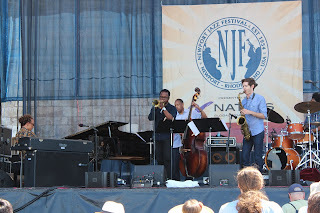 Gerald Clayton's set featured many of the musicians headlining that day, with Ambrose Akinmusire on trumpet (Ambrose Akinmusire Quartet) and Ben Wendel on tenor sax (Kneebody). This combination of up and coming talent created an exciting, vibrant atmosphere on the main Fort stage. Featuring tuneful original compositions, such as "A Light" and "Patience Patients", Clayton illustrated his skills as a bandleader while still leaving space for his sidemen to be themselves and stretch out. Kneebody had a unique blend of sounds - from funk to rock to hip hop to jazz. 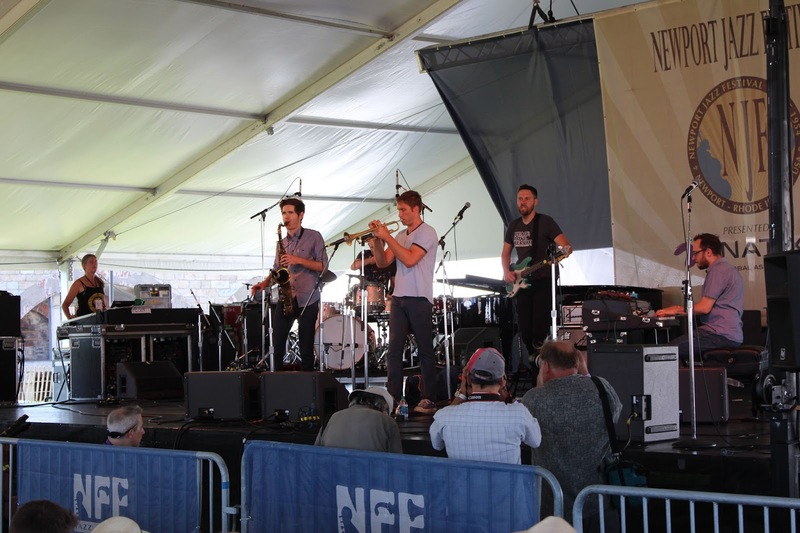 Kneebody can be described as a groove-based music, something you can dance to or just bob your head to. 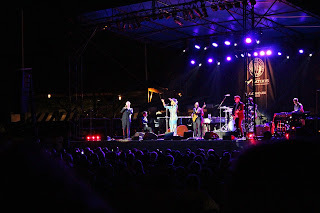 Yet, while being groove-based, Kneebody's set list included many haunting melodies in songs such as "Cha Cha" and "The Blind". 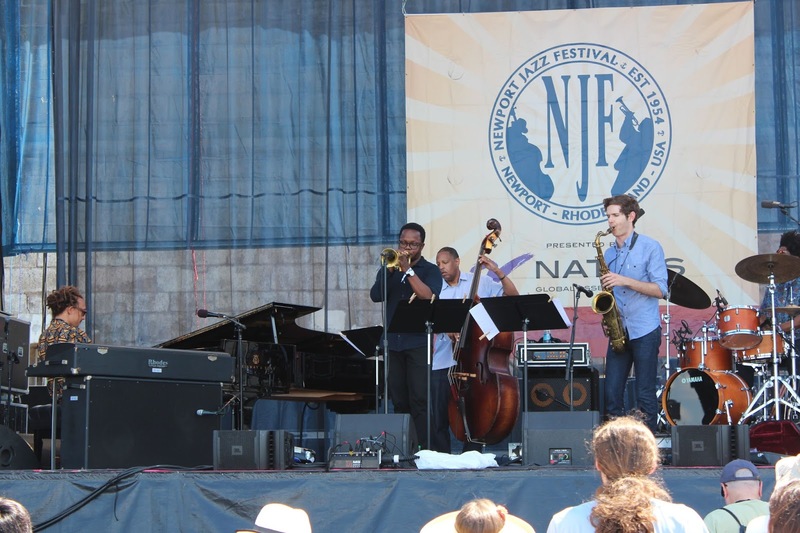 It is interesting to see how in a jazz festival how many different variations there are on what jazz sounds like so that everything sounds fresh and new. The Christian McBride Trio blew me away in May, 2014 when they came to Scullers and again when I saw them in February. Seeing the progression of this band is truly awe inspiring. Their set at Newport highlighted not only their increased musicality, but their deep camaraderie from touring. This camaraderie came into play especially while improvising - their solos came across as jokes to each other, little musical phrases that would get the other musicians to respond back to them as if they were speaking. From their opening number "Fried Pies", I could tell this band had a new sound, even in the past six months. 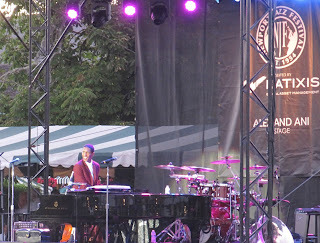 Jon Batiste is an extraordinary musician and entertainer. 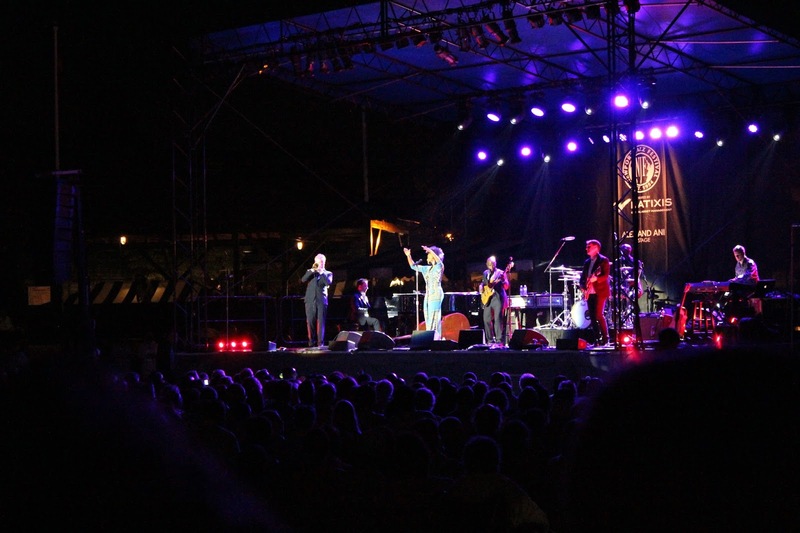 His set list was broad, covering classic New Orleans music with "New Orleans Blues", his gorgeous touch on a solo piano "Somewhere Over The Rainbow" and the coherence of Stay Human with the sparkling new "Newport Suite" debuted at the festival. Batiste commands the audience's attention, even during a solo ballad, "Somewhere Over The Rainbow", I could have heard a pin drop. And I think this sort of laser focus of the audience stems from the fact that Batiste brings forth so much charisma that you can't help but return the enthusiasm. 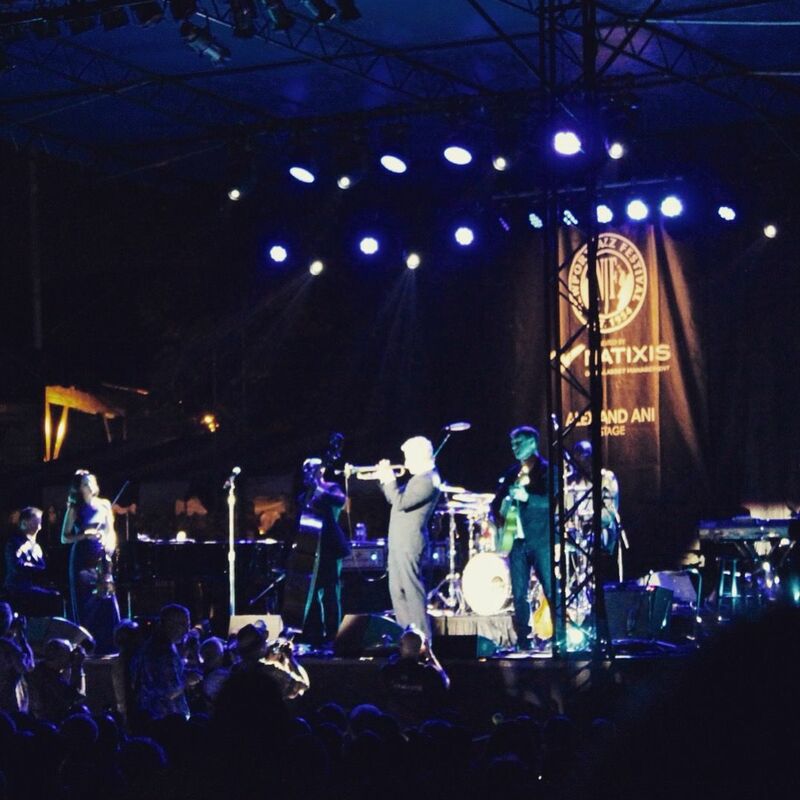 Since 2015 is the 60th Anniversary of Miles Davis at the Newport Jazz Festival, Chris Botti honored him by playing many of Miles' classic songs such as "Flamenco Sketches" and "My Funny Valentine." Botti's trumpet tone was enthralling, capturing the classic Miles Davis sound with a harmon mute, or while showcasing pyrotechnics with incredibly high notes. Botti's true power was in his musical sensitivity and ability to blend in different musical scenarios. Gracious and giving, Botti showcases various special guests, such as violinist Lucia Micarelli, as well as each member of his band. 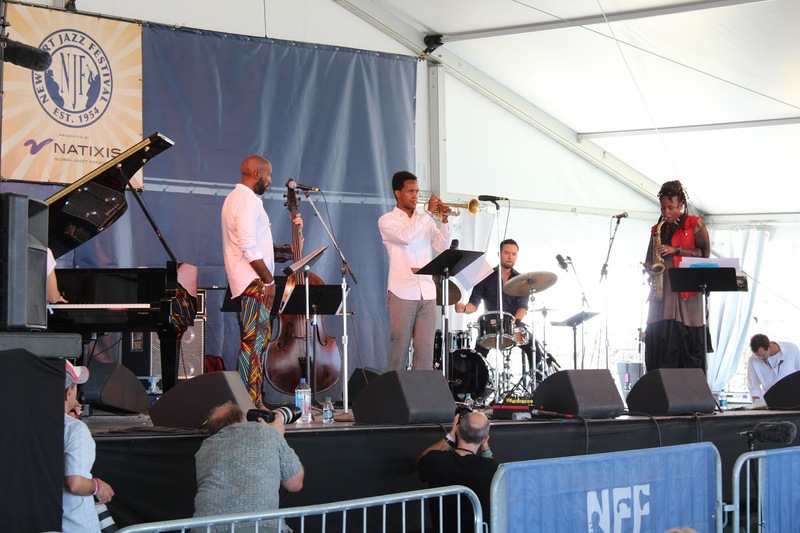 The Newport Jazz Festival's diversity of music truly could have been a musical suite of its own. Please visit my jazz poetry blog, "Without a Poem", where I improvise a new poem everyday! I also share jazz music and art there, so stay tuned! 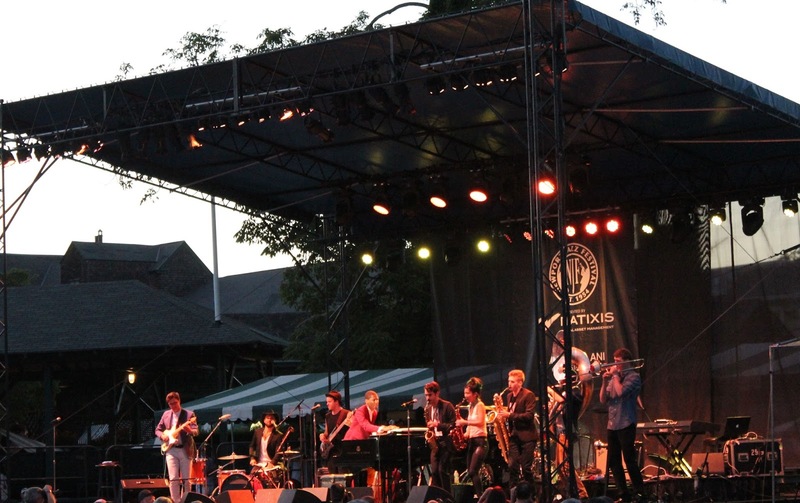 Seeing the Jon Batiste and Stay Human inspired my poem, "Express yourself."